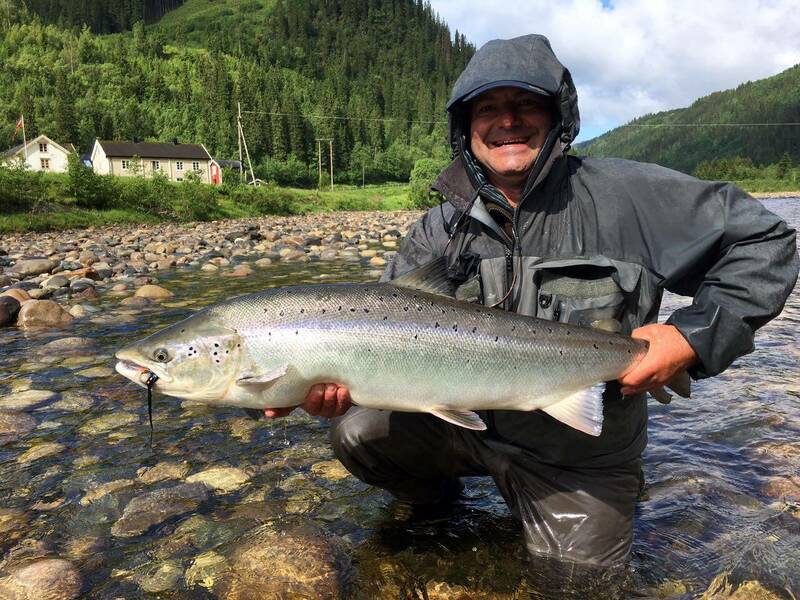 Week 27: The Gaula on Fire – Fantastic fishing on NFC waters! Week 27 has been a great week for us at NFC! With over 70 fish for the week- the fishing has been on fire all week long. 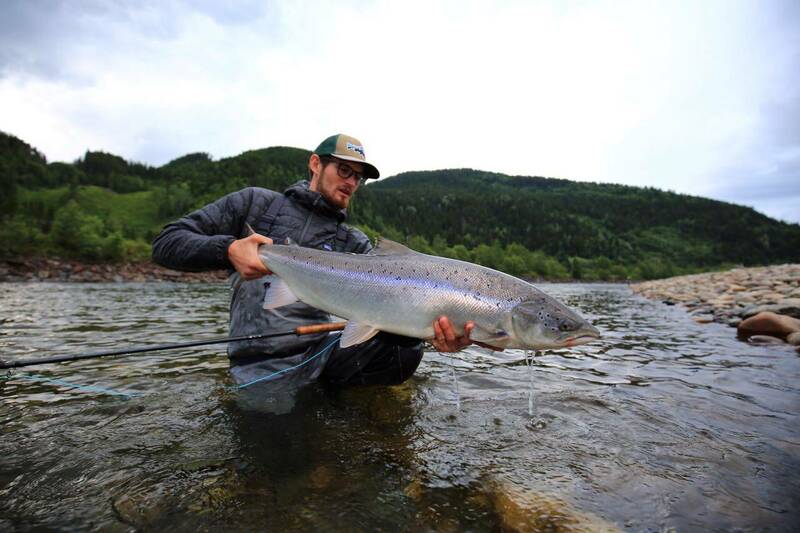 Fish of all sizes have been caught throughout our beats, as well as grilse have been caught in great numbers- signaling the start of the grilse run, which only adds to the fun. 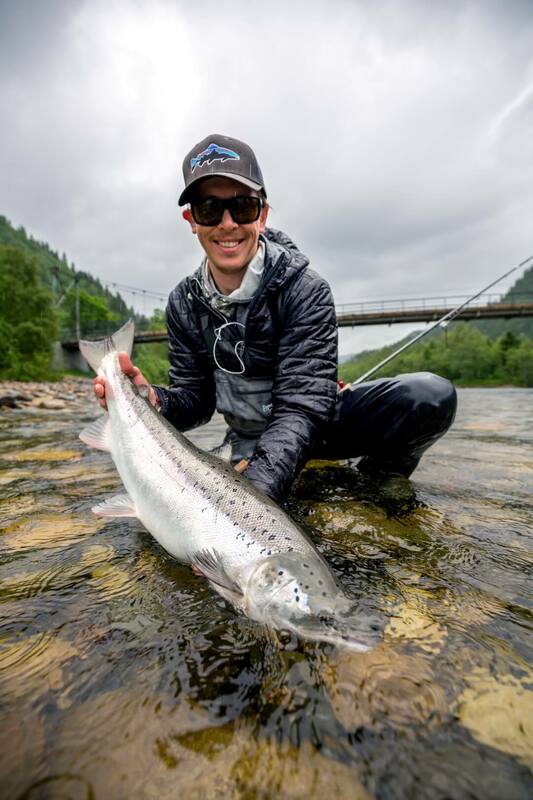 The water conditions continue to favor us – yo-yoing between 60 and 150 kbm at the Gaulfossen gauge, which makes for superb fishing on all of our beats. 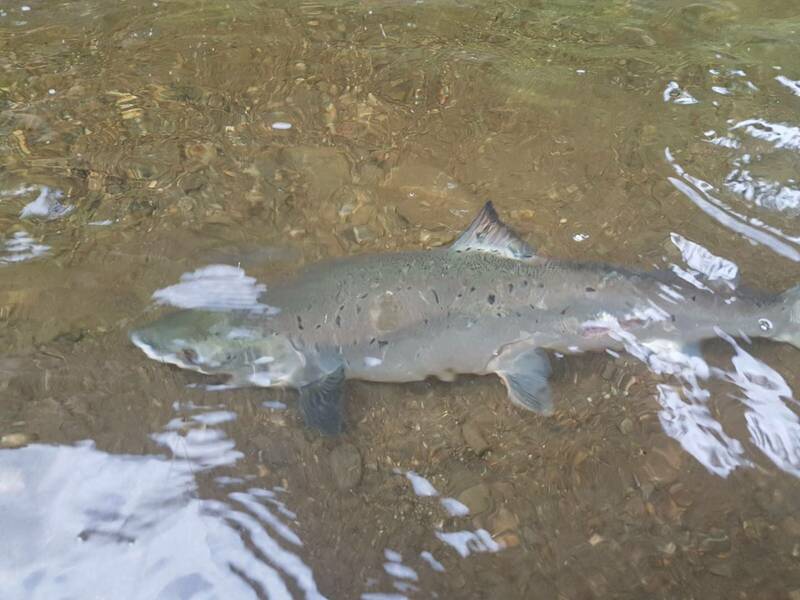 The first fish of the week was caught by Stephan Dombaj from THE FLYFISHING NATION crew in Tilseth pool (C2), a superb bar of silver measuring 103cm and weighing in at well over 10 kg (22lbs+). The day continued on well, as the other members of the FFN crew Peter Stark and Paulo Hoffmann each got a grilse. Paulo with his grilse from Beat E2. Stephan and Peter having fun catching fish! Next to strike silver was our long time regular guest and NFC friend, Bruce Lindley who caught 2 more grilse on the same day. Meanwhile German regular guest Ingo Karwath had a dream session on Beat C2. Ingo landed 3 salmon of 82, 80 and 70 cm, and had contact with a number of other fish- all on a floating line and stripped sunray! 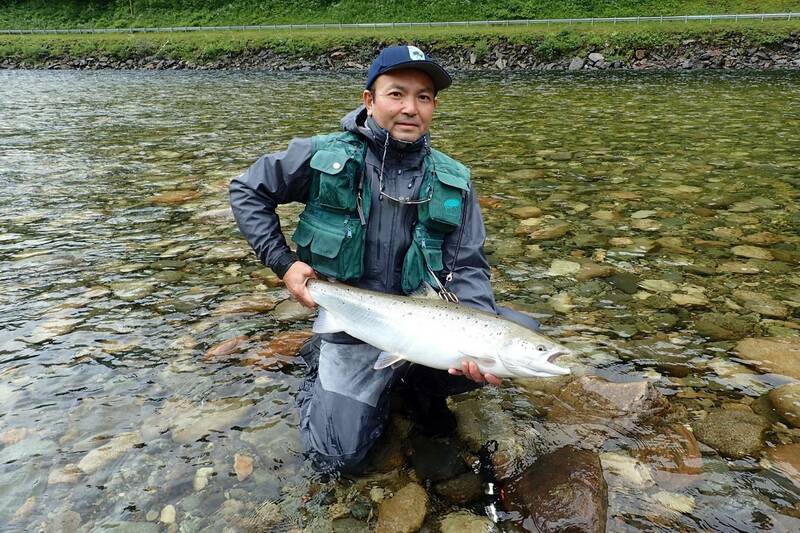 Then it was our Japanese friend and regular, Takuo Noda who was successful and caught a grilse and a nice salmon of about 6kg (13.2lb) on Beat BS1. Takuo with his salmon from BS1. 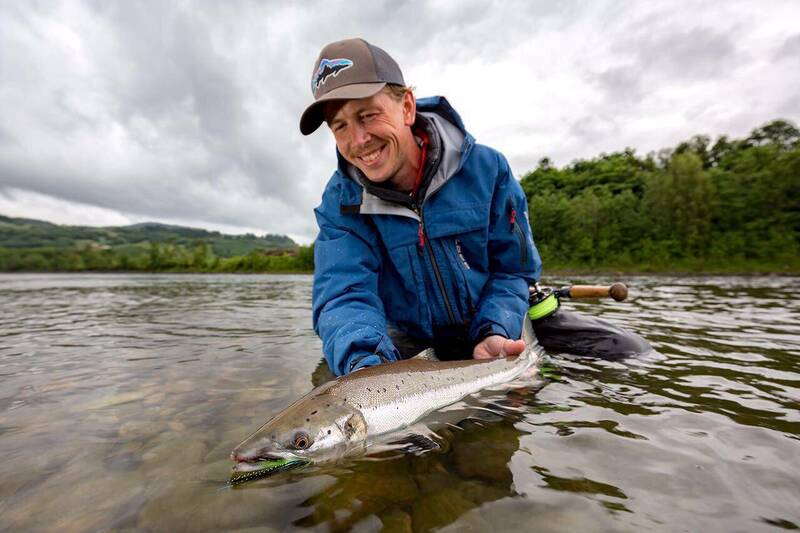 The next morning was a great morning for Matthias Vorweg, as he was able to land and released 3 well-sized grilse, as well on Beat BS1. Matthias Vorweg with one of his salmon that day. What a fat grilse! Next it was Belgium regular Jean-Luc Verstraeten who caught and released a good salmon of about 8,3kg (18.2lb) on Beat B1. Jean-Luc with his salmon from Beat B1. 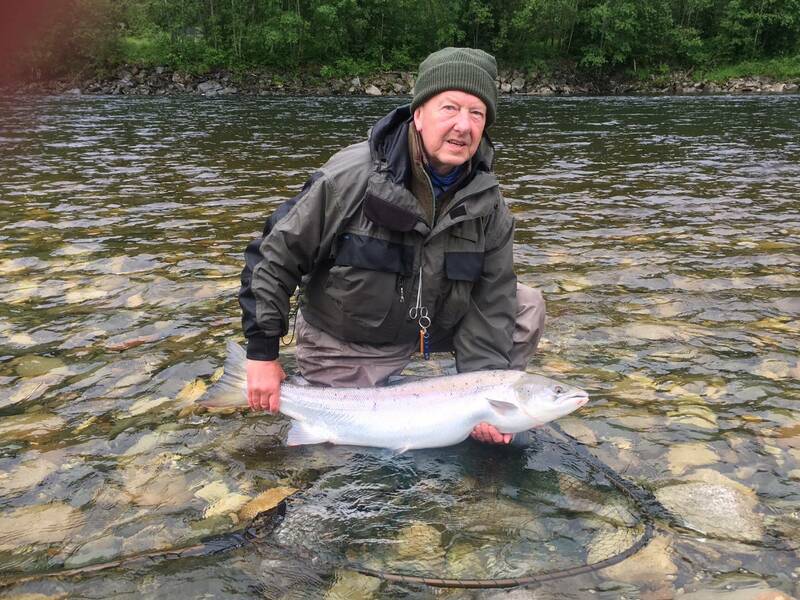 The week continued on as well as it had begun, with NFC first timer Gordon Wilkinson from the UK who was able to catch his two first Gaula fish, a 5kg (11.2lb) fish as well as a grilse. 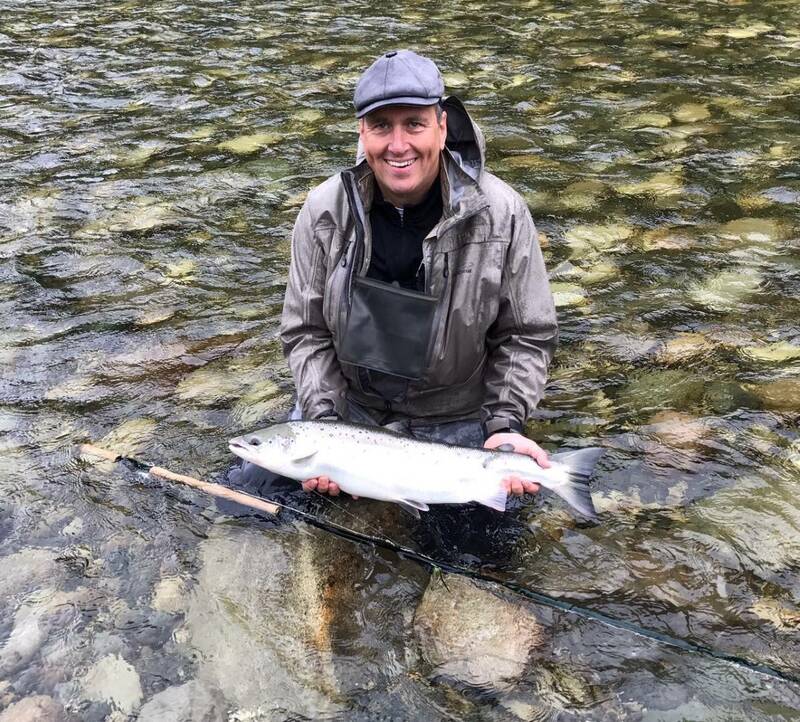 Manfred Raguse caught and released a good sized fish of about 8kg on Beat E2 and Ingo Karwath caught two more salmon on Beat A1, a grilse and a great fish of 106cm and about 12kg (26.4lb). 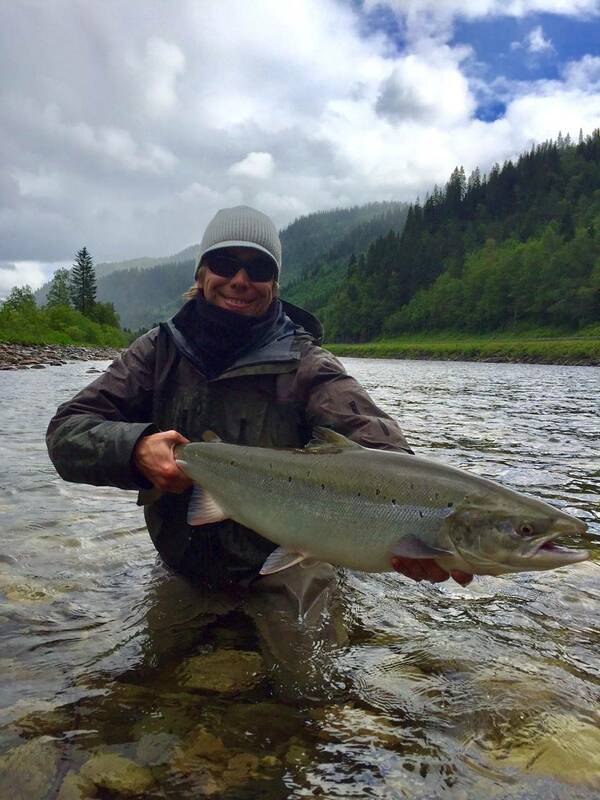 Another big fish was caught and released by Swiss angler Reto Suremann, a superb salmon of 101 cm and roughly 10kg (22lb) of weight. Reto with his great salmon on Beat C2. Carefully holding the fish in the water to ensure its safe release- our fishermen are careful and seasoned practitioners of Catch & Release- a fact we are very proud of! 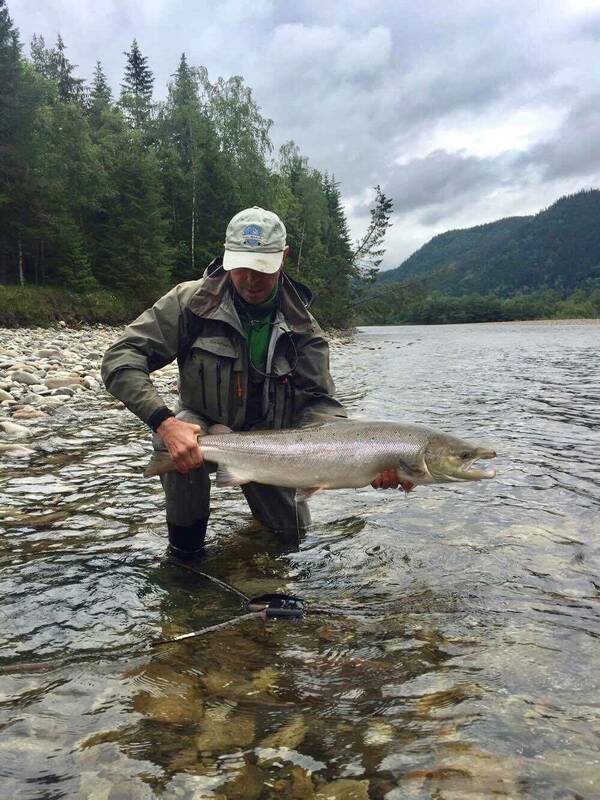 Adrian Kendrick and Gordon Wilkinson caught two more grilse while Thomas Mahnke from Germany fished our Lodge Pool and got very fat 95cm salmon, which probably weighed about 10kg (22lb)! Thomas with his nice salmon from our Lodge Pool! 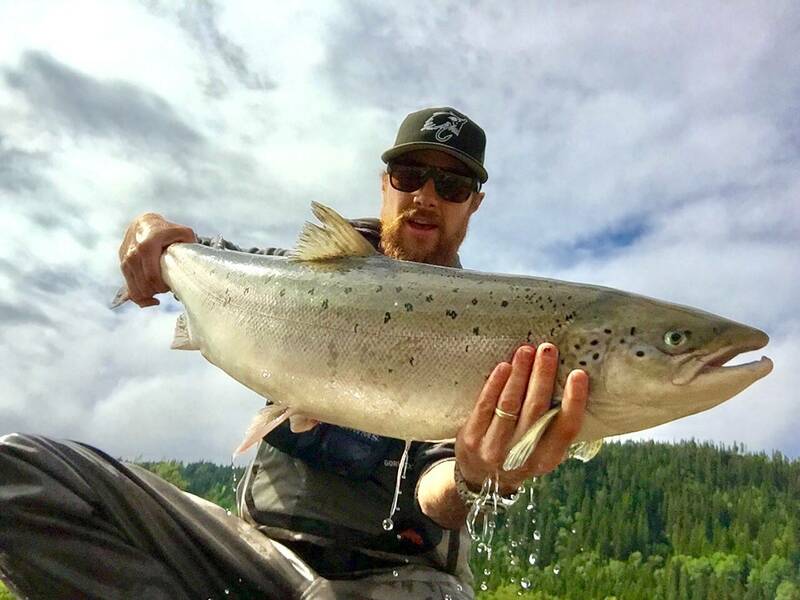 Fishing luck continued for Takuo Noda, who caught and released a nice salmon of 93cm on Granøien pool (G1), this Beat has fished very well this season so far and is stocked with fish! Takuo with the next fish from Beat G1. 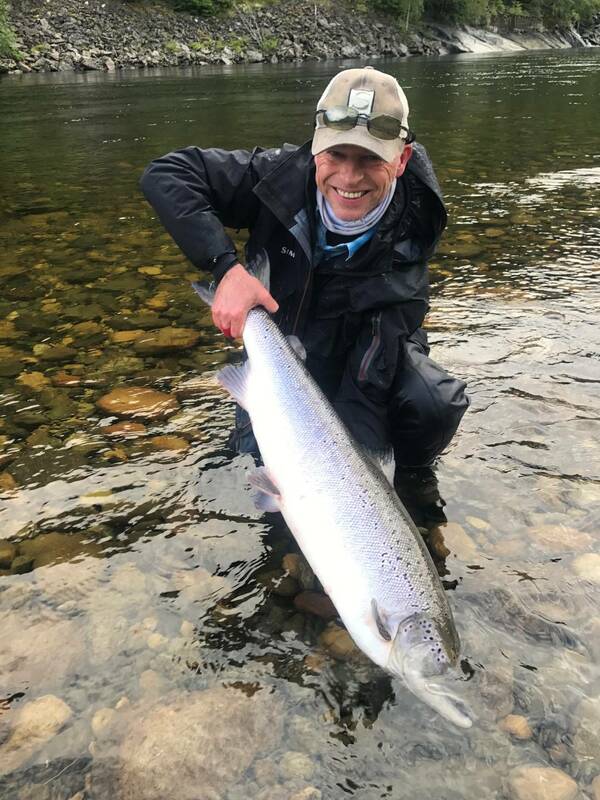 As well as BS1, which is producing great fish these days- and the next landed fish from BS1 was caught and released by Thies Reimers – a very well-conditioned salmon of 80cm. Thies smiles while holding his beautiful salmon from Beat BS1. 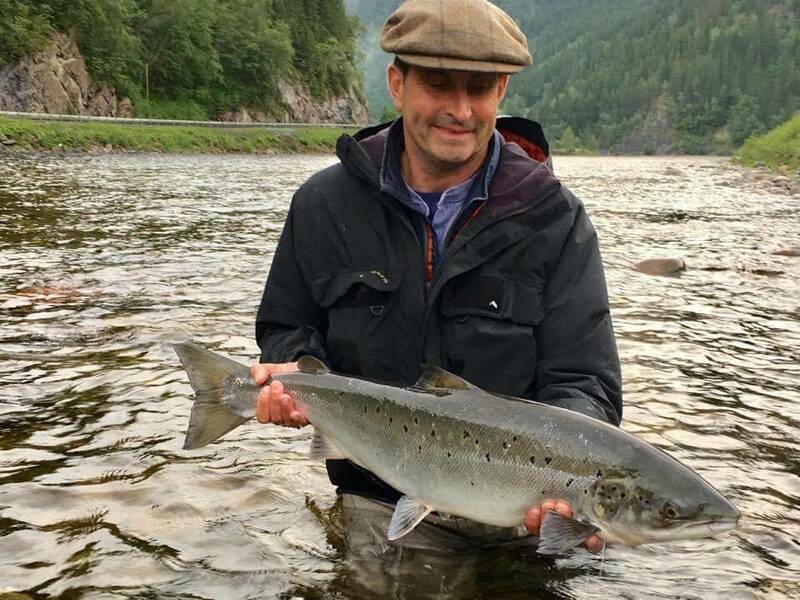 But not only Beat BS1 is fishing well, also the Beat BS2 produced some good fish this week, as Reto Suremann was luck to land two more salmon of about 5kg (11lb) and 7kg (15.4lb). Reto with the bigger one of the two he landed on BS2. Manfred Raguse caught 3 more salmon of 5,5kg(12.1lb) (Beat A2), 9kg (19.8lb) and 6kg (13.2lb) (both on beat G1). 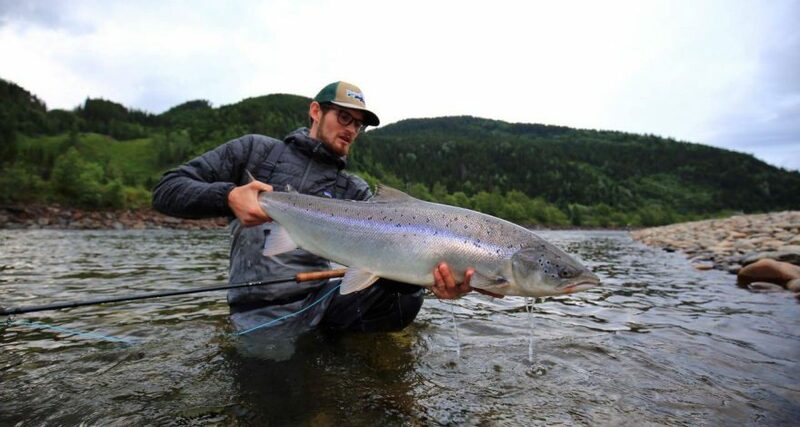 Stephan Dombaj caught another grilse, as did Gordon’s son, David Wilkinson and Robert Ramisch, while Paulo Hoffmann got another medium sized salon of 81 cm on Beat G1. Paulo with his beautiful salmon from Beat G1. Keep them wet! The next big fish of 10kg (22lb) was caught and releases by Gordon Wilkinson on Beat B1 – a nice fish measuring exactly 100cm. It seemed as though father would be the one to show his son how it should be done this week! Gordon with his big salmon from Beat B1. Then it was Bruce Lindley again, who caught his next fish on Beat BS1, a good fish of about 6kg (13.2lb). Bruce with his salmon from Beat BS1. The next two nice fish were caught by Matthias Vorweg during the night session on Beat B1, 88cm and 92cm. Matthias has been fishing hard – and it certainly paid off! Matthias with one of his night session fish from Beat B1. 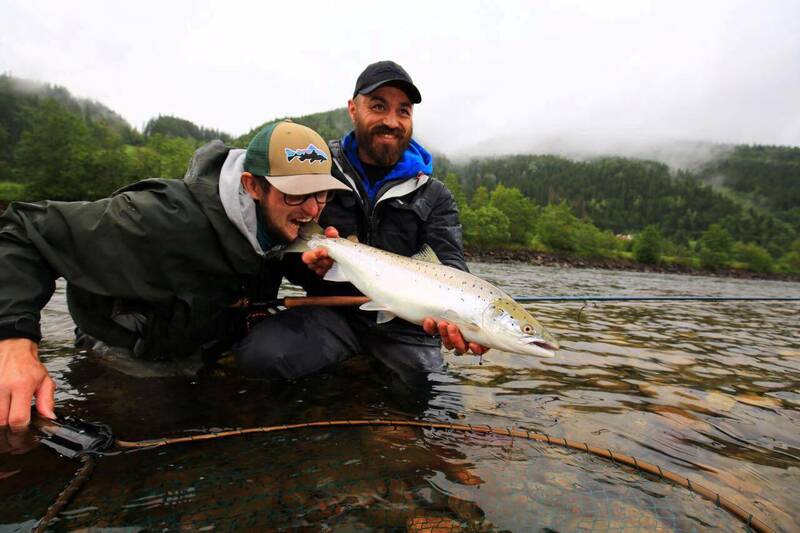 A few more grilse have been caught by Gordon Wilkinson, Christian Tamcke and NFC’s Daniel Stephan, as well as the next big fish landed, this time it was again on Beat BS1 – Ingo Karwath was able to catch and release a nice 98cm salmon. 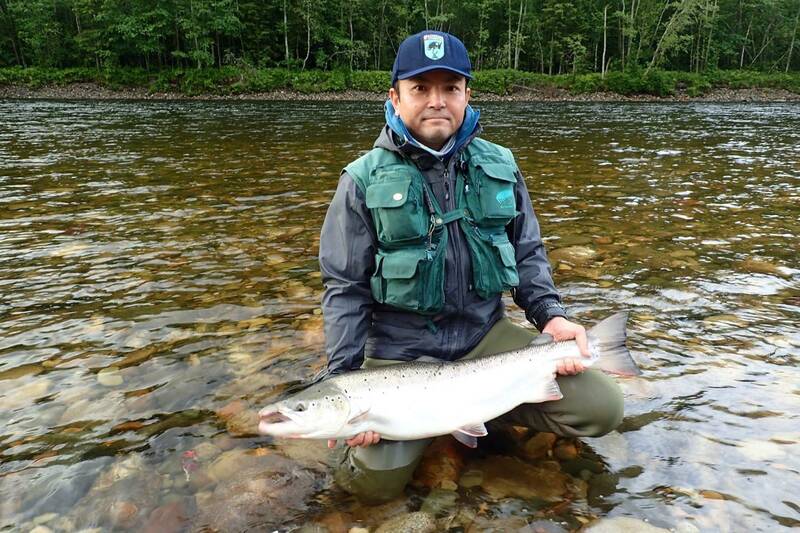 Ingo had a fantastic week with us, including this beautiful salmon of 98cm from Beat BS1. And the grilse continued to pour in, adding to the catch of these super well-conditioned small salmon were: Jean-Luc Vestraeten, Thomas Mahnke, Robert Ramisch, Reto Suremann and Johannes Kahrs. 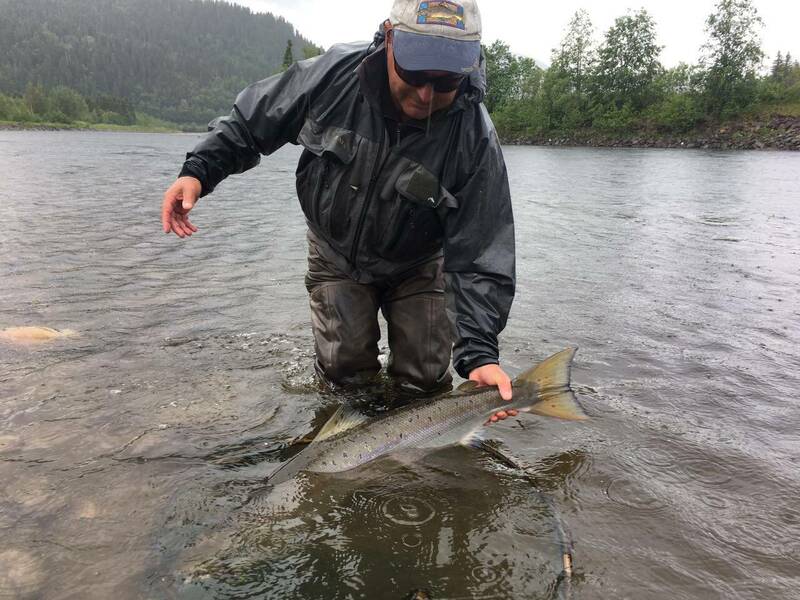 A rare occurrence, but quite interesting, Bruce Lindley caught a tagged salmon on Beat B1 which he of course carefully released, it will be interesting when the fish has been tagged and even if he might get caught another time – who knows. This fish was most likely tagged by NINA (Norsk Institutt for Naturforsking/Norwegian Institute for Nature Research) at their scientific tagging station in the outer Trondheim fjord. We will report back with any details of the tagged fish, when we hear back from NINA regarding the tag number. 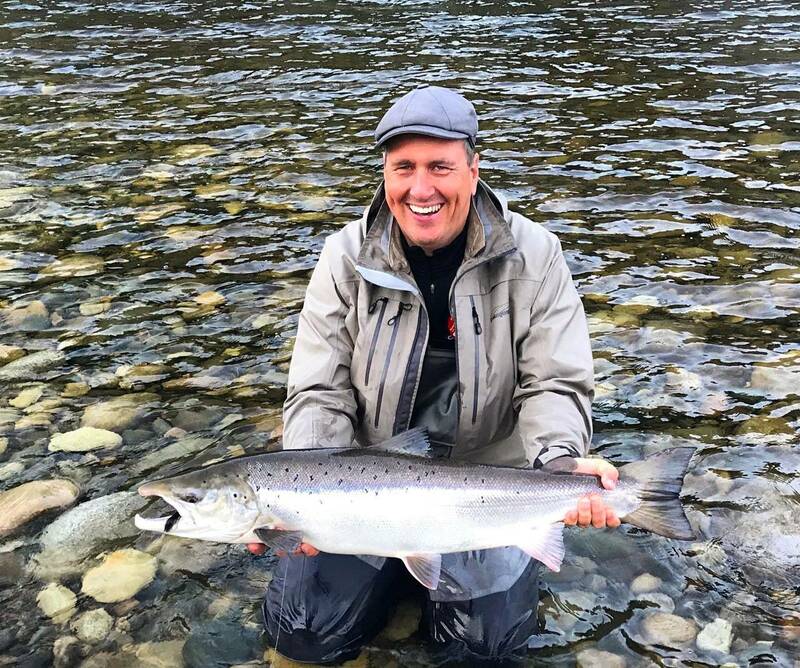 Bruce with his tagged salmon of 89cm from Beat B1. The Bua, a beautiful, high gradient tributary of the Gaula, where we have one of the best pools is starting to fish well now as well. Our guests were able to land two salmon this week there and lost a couple of more. 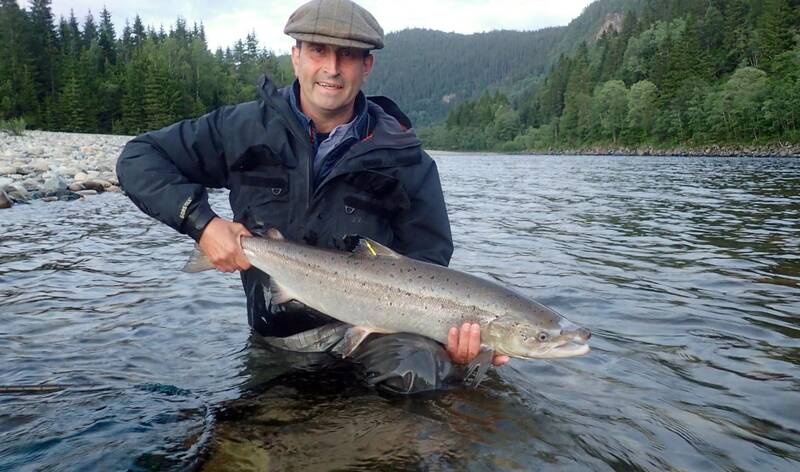 Adrian Kendrick and Reto Suremann were both successful, each with a 5kg (11lb) salmon. most likely high up river through the canyon. These fish are short, fat and super strong! Then NFC’s Maurizio Restaino was able to catch two salmon on our Beat D2a of 65 and 85 cm and another fish of 83cm on Beat G1, while Christian Tamcke caught his next salmon, this time of about 7kg (15.4lb). NFC owner Per Arneberg had a good week and caught two nice fish of 8,5kg (Beat A1) and 10kg (22lb) (Beat B1). Per’s fish was the last fish of the week, but we can already say the next week has started off well and we are sure to report more great fish in the coming week! 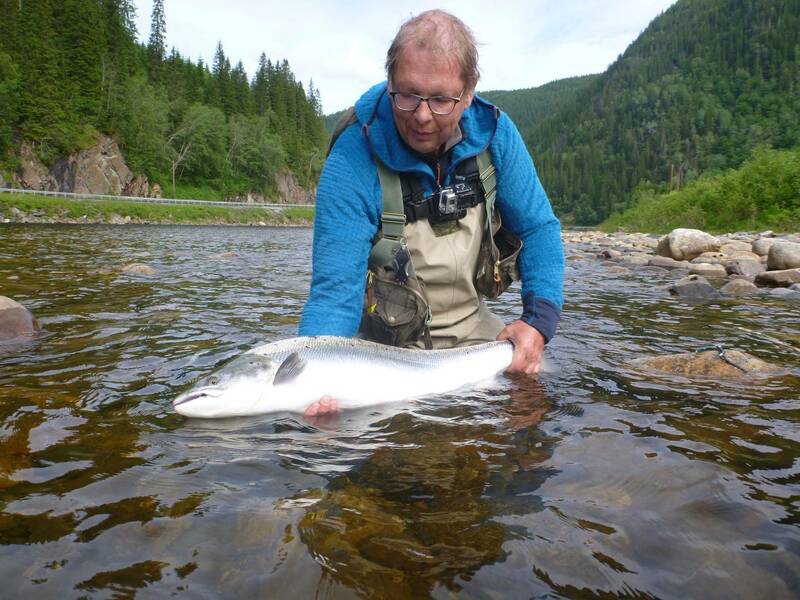 It is great to see the Gaula in such prolific shape and producing good numbers of fish! And what is encouraging is the good numbers of grilse this season which have been missing a bit the past seasons, so they are a lot of fun, especially as they are all quite fat and mostly between 2 and 3kg. These are exciting times on the Gaula – and right now there are not many places you would rather like to be – it feels very good to be right here, right now! P.S.- We have a few last-minute cancellations towards the end of the season- and as the water continues to rise and fall, there is a great opportunity this year for some awesome back end season fishing, please get in touch if you want to come join us!